Well Friday is here again and I realized I hadn't posted since last Friday. 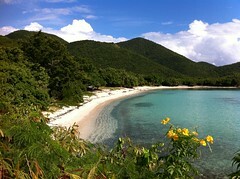 We had a great time on St. John over the thanksgiving weekend and I have lots of pics. Just need to spend some time putting a good post together. We had thanksgiving dinner at Skinny Legs Thankspigging pot luck. It was great. Lots of good food and good friends. Spent the rest of the weekend hitting different St. John beaches then over to Water Island on Sunday to see the arrival of the new Joes Beach Bar. It was a great weekend to say the least. We have some down time scheduled for this weekend so we'll try to put a good post together with all the pics.